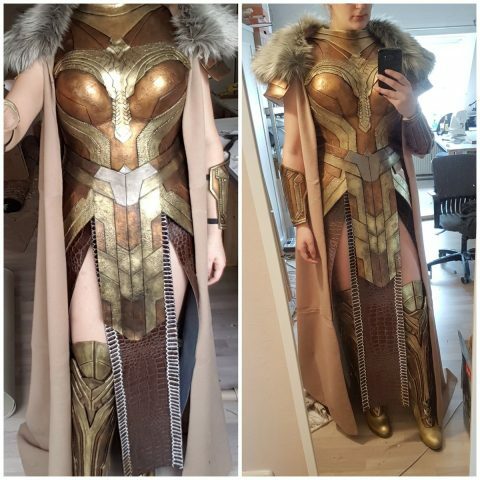 Queen Hippolyta Costume Made from Profoam « Adafruit Industries – Makers, hackers, artists, designers and engineers! The material is called Profoam, it is similar to EVA foam but we hardly get good EVA foam in Germany. Then it is primed with Flexipaint and painted with wax-paint from pébéo. With the painted finish, it very much looks like it’s metallic armor.